ai.type is the smartest, most personalized keyboard for smartphones and tablets. With over 20 million users worldwide, we transform the messaging experience. ♦Thousands of free themes – Choose any of the free and attractive keyboard themes out of thousands available themes as part of our Theme Market. 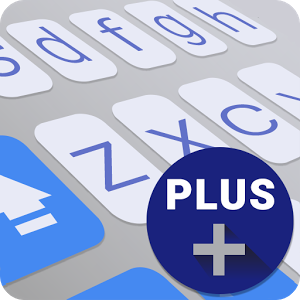 ♦ Swipe – Write faster by swiping your finger from key to key. ♦ Personalize 🔧 your keyboard's look & feel, functionality and create your own custom keys & shortcuts. ♦ On-keyboard search 🔎 to help you find text instantly. ♦Voice Narration – Dictates 🔊 the words as you type them. ♦Privacy – Your privacy is our main concern. We will never share your data or learn from password fields. Text stays encrypted and private.